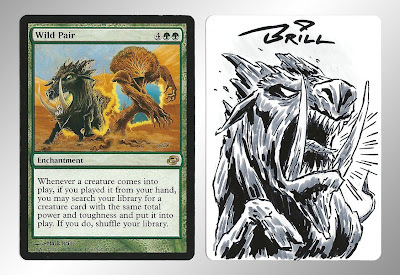 THE BRILLUSTRATOR: Wild Card...It's MAGIC! 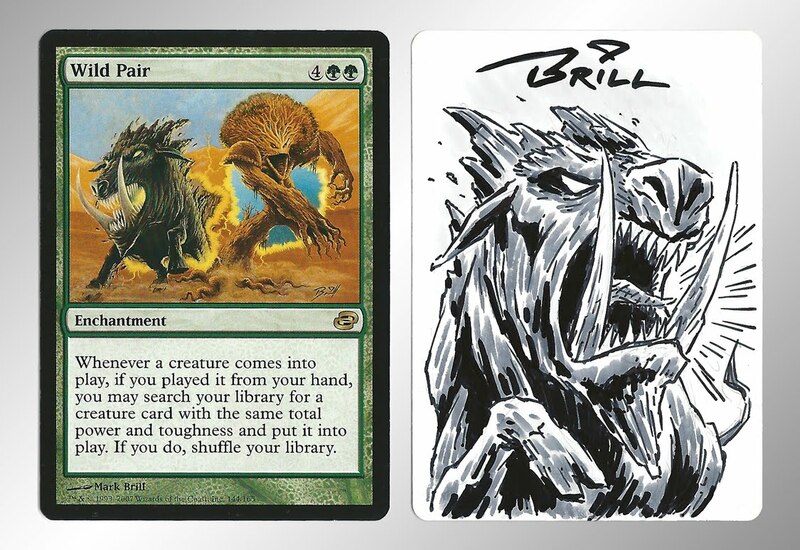 This is a sketch done on the back of a Magic: The Gathering card art proof, based on the painting I did for the "Wild Pair" MTG card (shown beside the sketch.) I matted both of these together with the original painting which is going to be sold...or auctioned...or raffled or something to raise funds at the big "Be A Hero" sketch day event that CLAW (among others) will be doing at Comic Book Ink in Tacoma next Saturday! These sketches on card backs generally take about 10 to 15 minutes--but they are very collectible and fun!